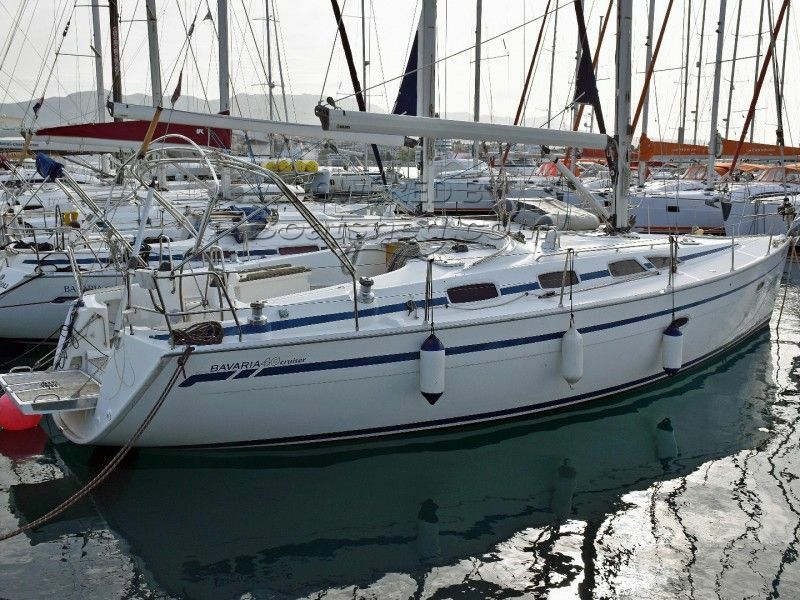 Bavaria 40 cruiser has a comfortable and functional cockpit with long bench seats on either side and a fixed table with folding leaves amidships. 3-cabin interior layout with two-head setup and roomy main cabin with a big step-up double berth and plenty of hanging and storage space being the forepeak. Bavaria 40 cruiser represents a good value for sailors looking for a very comfortable family cruising boat. New BG electronics from 2017, new anchor windlass 2018. This Bavaria 40 Cruiser has been personally photographed and viewed by Maroje Mose of Boatshed Croatia. Click here for contact details.